FOXBOROUGH, Mass. 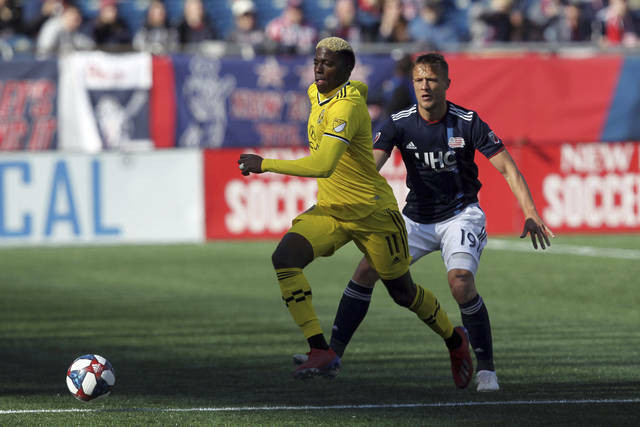 (AP) — Gyasi Zardes scored two goals and the Columbus Crew beat the New England Revolution 2-0 on Saturday, March 9, for coach Caleb Porter’s first victory with the club. Zardes opened the scoring in the 26th minute with his first goal of the season for Columbus (1-0-1). Pedro Santos received a pass near midfield, dribbled it down the left side and found Zardes for a header at the edge of the 6-yard box. 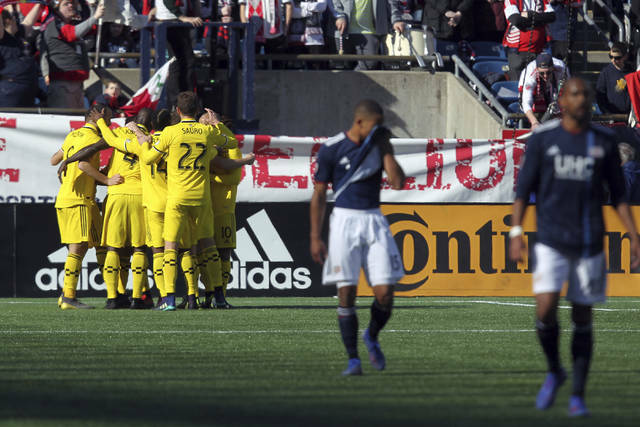 Goalkeeper Zack Steffen kept Columbus in front in the 59th by denying Diego Fagundez’s penalty kick. Then Steffen’s long goal kick in the closing minutes of the game got past the defense and Hector Jimenez passed it to a wide-open Zardes in front of the goal for an easy finish. Porter has been without a club since mutually agreeing to part ways with Portland after the 2017 season. He guided the Timbers to a 2015 MLS Cup victory and a playoff berth in three of five seasons. 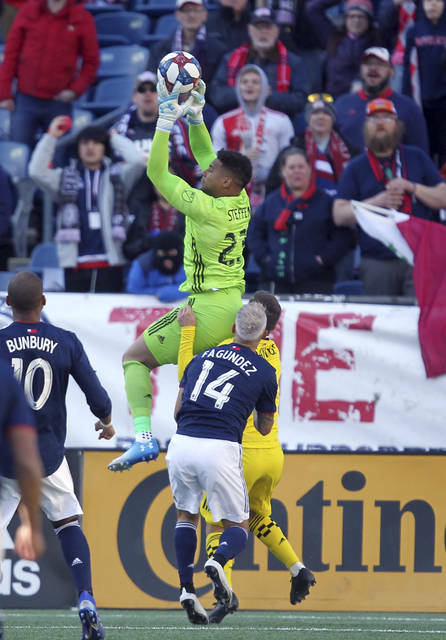 The ninth overall pick in the 2019 SuperDraft, Tajon Buchanan, made his MLS debut for New England (0-1-1).